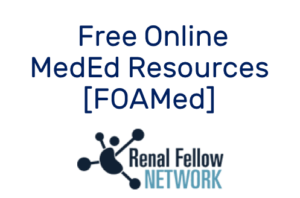 Has a patient ever asked you about the artificial kidney? 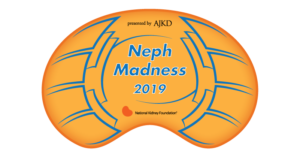 At this point many nephrologists and patients have heard about the latest advances, and it has even reached the mainstream news. 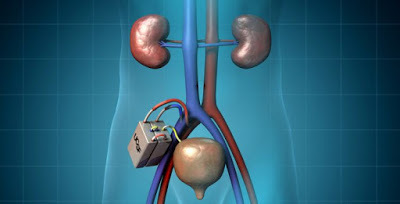 A simple Google search for “artificial kidney” brings a host of articles from popular online websites (Wired.com, Healthline.com, NephrologyNews.com, MedDeviceOnline.com, IFLscience.com) describing the road to the artificial kidney and the benefits it could provide to patients with kidney disease worldwide. UCSF’s “The Kidney Project” website including a section regarding frequently asked questions are also among initial Google results. The Facebook page is followed by approximately 22,000 people. What is The Kidney Project? The Kidney Project is a collaboration between Bioengineering and Nephrology, led by Dr. Shuvo Roy, biomedical engineer at UCSF and Dr. William Fissell, nephrologist at Vanderbilt University, to design an implantable artificial kidney. The Kidney Project was inspired by the work of Dr. H. David Humes, nephrologist at University of Michigan, who used a conventional CRRT hemofilter lined by monolayers of renal cells to create what he termed a renal tubule assist device (RAD). Though Dr. Humes and colleagues did not find a statistically significant difference in the primary outcome of 28 day survival using the RAD compared to conventional CRRT, they did find a significant improvement in their secondary outcome of survival over 180 days. Critically ill patients with AKI trended toward earlier renal recovery in the RAD group though this was also not statistically significant. The potential benefits were hypothesized to be secondary to the immunoregulatory role of tubule cells in stressful clinical conditions. Recognizing that the RAD has shown promise in critical care, but is too large, labor-intensive, and costly for treatment of ESRD, The Kidney Project was launched with the aim of using silicon nanotechnology, which has thus far been applied to mostly non-biomedical applications, in combination with human renal tubule cells to create an implantable device. In an ideal setting, it would be designed to alleviate the need for an external pump, immunosuppressives, anticoagulation, or dialysate fluid. As stated by Dr. Roy in a recent Grand Rounds at the UCSF Division of Nephrology, “we aim to build what we cannot grow [the filter], and grow what we cannot build [the tubular cells]”. From a kidney perspective, what are the considerations necessary to achieve these goals? Filtration – The glomerulus is the natural hemofilter and consists of uniform, slit-like pores that allow for selectivity. Dr. Roy and the Kidney Project have introduced silicon, thus far used in many electronic devices (hence “Silicon Valley”), to build a membrane with geometric dimensions that mimic the natural hemofilter of the glomerulus. Important characteristics include high enough permeability to allow for filtration with cardiac perfusion pressure alone (to obviate necessity for an external pump), but with high permselectivity, to allow small and middle-sized molecules to clear without sacrificing important molecules, like albumin. Clotting – Silicon is an element that is derived from naturally occurring silica in sand (silicon dioxide or silica). As a non-biologic substance, silicon can provoke an inflammatory response. As we have seen with other biomechanical devices (artificial heart valves, ECMO, etc. ), the activation and consumption of pro-coagulant and anti-coagulant factors can lead to both bleeding and thrombosis, with high morbidity and mortality, and thus patients exposed to those devices are treated with anticoagulants. In addition, silica, which forms on the surface of silicon when exposed to oxygen, and this also accelerates blood clotting. To prevent this, Dr. Roy and The Kidney Project team have developed zwitterionic thin coatings, such as polySBMA, applied one molecular layer at a time (to prevent clogging the filter pores), to protect against these complications without the need for blood thinners. Static vs. shear conditions – Growing cells in a culture allows us to study them in static conditions, but cells lining the artificial membrane will be exposed to shear conditions from constant blood flow. While the cells can get their oxygenation and nutrition from exposure to the blood and ultrafiltrate, it is imperative that the cells lining the membrane are able to withstand the shear conditions. Thus far, Dr. Roy and his team have demonstrated that the cells in their animal models can survive for at least one month, and the next step is to aim for longer cell survival times in human patients. Transport – Ideally, the cells lining the membrane would transport water, electrolytes, and drugs, among other important molecules. Optimizing the rate of transport of important molecules will prevent the need for dialysate fluid or for the patient to have to drink extra fluid to stay hydrated, and this is an active area of work in The Kidney Project. To address this, one consideration is ultrafiltration rate. Considering a normal filtration rate of 60-100 mL/min, Dr. Roy and his team believe that bioengineering with a goal of approximately 30 mL/min may be a reasonable target. Other ideas for improving transport have included increasing the surface area of the device or using different cell types, such as genetically engineered cell lines, to augment transport. Membrane immuno-isolation – Similarly, a uniform and precise pore size will allow for transport of nutrients, but avoid transport of immunoglobulins that may attack the artificial kidney, to prevent the need for immunosuppressive medications. When will The Artificial Kidney be ready for human trials? The Kidney Project is working closely with the US FDA as part of the Innovation Pathway 2.0, which is a staged development plan to allow the project to move safely and effectively from research into clinical trials and eventually clinical practice. Collaborating with the FDA allows for pre-defined targets (such as demonstrating safety and efficacy in animal models for one month) and also allows for the technology developed to be simultaneously investigated for other purposes, if applicable and worthwhile, including in-hospital CRRT or home hemodialysis. Transitioning to human clinical trials will require first utilizing the silicon nanopore membranes in otherwise-healthy dialysis patients in order to show that the materials in the hemofilter are safe for exposure to human blood. The next steps would be to test the filtration, then test the cellular component, and finally move into a stage where the artificial kidney can be implanted into human subjects. The process is fraught with financial and regulatory barriers, and according to The Kidney Project’s website, it is anticipated that human clinical trials may be complete by 2020, after which the bioartificial kidney could become available to the public. Additional future challenges include moving beyond proximal tubule functions like clearance and volume management, and incorporating the fine-tuning which happens more distally. Additionally, it is likely that despite the implantable device, patients will need close medical management (such as erythropoietin), more akin to a patient with advanced kidney disease than to a post-transplant patient. The current advances in The Kidney Project are a culmination of years of hard work and dedication by very talented physicians and scientists, and the potential impact on our ESRD patients is enormous. There are many challenges ahead and for anyone hoping to get involved, there are undoubtedly many opportunities, which may be particularly appealing to up-and-coming trainees. Stay tuned!